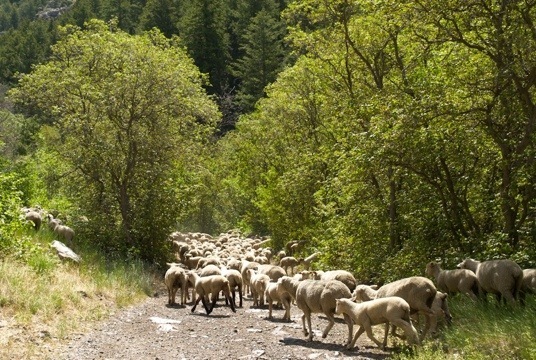 Sheep being driven up Green Canyon to their summer grazing area. Around 1000 adults, close to 2500 counting the little ones. Needless to say there was a bit of a traffic jam. Fun to watch for someone like myself who has not seen this before. They kind of smelled.